Northeastern Texas families are discovering that Greenville Chrysler Dodge Jeep Ram is the best place to shop for a new family vehicle, and with our premium selection of the new 2015 Chrysler Town and Country, we've got something for every family, whether they live in Greenville or the surrounding Rockwall, Garland, Farmersville, or Commerce regions. 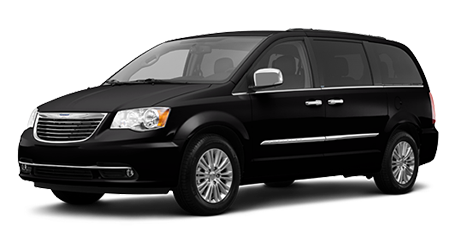 The minivan class has grown up considerably since these spacious haulers first gained traction in America, and the 2015 Chrysler Town and Country leads the pack when it comes to changing our idea of what a minivan can and should be. The Town and Country seats up to 7, thanks to multiple seat configurations which include captains seating for first and second row passengers, and bench seating in the way back; amazing standard features accompany each Town and Country trim level and are sure to please both driver and passengers. The back seat's Stow 'n Go feature is still present this year and makes for optimal ease of use, and this same seating area flips around when parked to provide bench seating during tailgates and other social events. The 2015 Chrysler Town and Country is propelled across city and country streets with a remarkable Pentastar 3.6-liter V6, which is partnered with a 6-speed automatic transmission, to net an impressive 283 horsepower. When outfitted with an optional trailer package, the Town and Country can haul up to 3,600 pounds (more than some SUVs), and has a diet of either standard unleaded or a combination of gasoline and E85. For more information and a test drive of the new 2015 Town & Country from Chrysler, come into Greenville, Texas's own Greenville CDJR today!